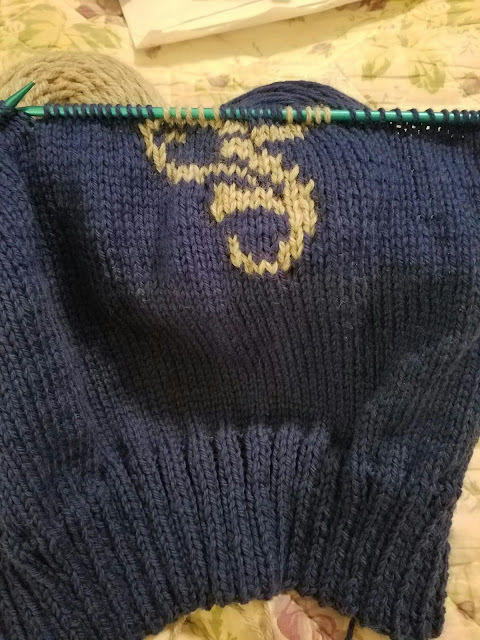 I have been working on the dragon hoodie. In some respects, it seems to be going faster than before. Maybe it is like going home from somewhere new, that always seems faster than going there because you didn't know the way. The front still isn't close to being done. I think with a little blocking, things will lay flat and smooth. I can kind of push and pull them that way now, so if I wet it and block it, it should be fine. I think.